With 2018 winding down, it’s time to look back on the past year and all that has been accomplished. For Ohioana, 2018 was filled with many memorable and record breaking events. Read about them below, and check out our photo gallery of Ohioana’s 2018 In Review! • Governor John Kasich named 2012 Ohioana Poetry Book Award winner Dave Lucas of Cleveland as Ohio’s second Poet Laureate. • The Ohioana Quarterly began its seventh decade of publication, with our winter cover story about the historic Paul Laurence Dunbar House in Dayton, the sixth in our series of “Ohio’s Literary Landmarks.” The issue also featured a look at Ohio poets and poetry. • Morgan Peters, previously our Mount Intern and part-time Program Assistant, became Ohioana’s full-time Program Coordinator, bringing Ohioana’s staff to four people for the first time since 2013. • The official poster of the 2018 Ohioana Book Festival poster was unveiled, designed by Cincinnati artist and illustrator Christina Wald. • Elizabeth (Libby) Vasey, a recent Bachelor of Music graduate of The Ohio State University, joined Ohioana as our 2018 Ruth Weimer Mount Intern. • Ohioana and the State Library of Ohio jointly presented an event to celebrate the 60th anniversary of National Library Week and the kickoff the 2018 Ohioana Book Festival. The highlight of the event was the announcement of the 2019-20 Choose to Read Ohio list of twenty books. Nearly a dozen current and past CTRO authors attended, along with State Representatives Laura Lanese and Jay Lawrence. • For the second consecutive year, the nationally-distributed comic strip Crankshaft, written by Tom Batiuk and illustrated by Chuck Ayers, featured characters at the Ohioana Book Festival for an entire week. 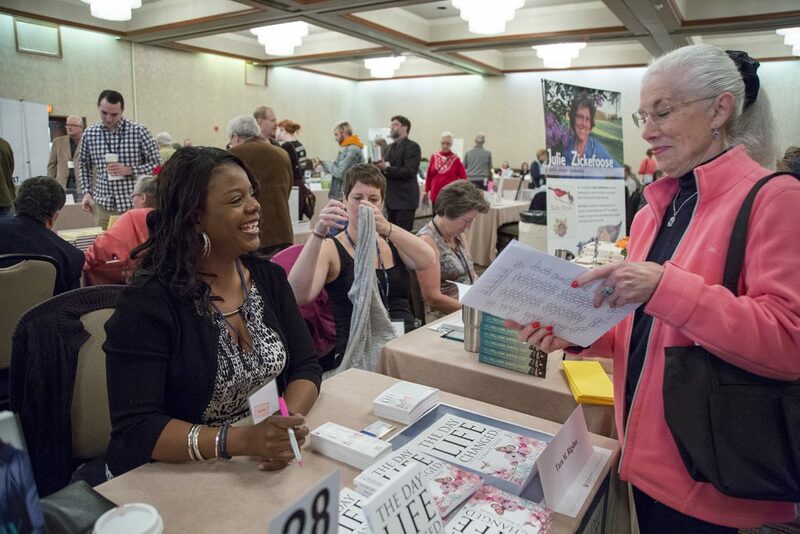 • The 12th annual Ohioana Book Festival was presented at the Sheraton Columbus at Capitol Square on April 14. More than 120 Ohio authors participated, and our bookseller, The Book Loft of German Village, set a new festival sales record. Outreach and media activities helped the 2018 festival reach more than 50,000 people statewide. • Thirty finalists were announced for the 2018 Ohioana Book Awards. The third annual Readers’ Choice Award was launched, inviting members and the general public to choose their favorite book among the finalists. • Ohioana announced that the Columbus Metropolitan Library will be the new host venue for the Ohioana Book Festival, starting in 2019. • Celeste Ng, Brian Alexander, Deanne Stillman, Ruth Awad, Sally Derby, and Tamara Bundy were announced as the juried winners of the 2018 Ohioana Book Awards. Tamara also was announced as the winner of the third Ohioana Readers’ Choice Award. • Christopher Alexander Gellert of Cleveland was announced as the 2018 recipient of the Walter Rumsey Marvin Grant, awarded to an Ohio writer age 30 or younger who has not published a book. 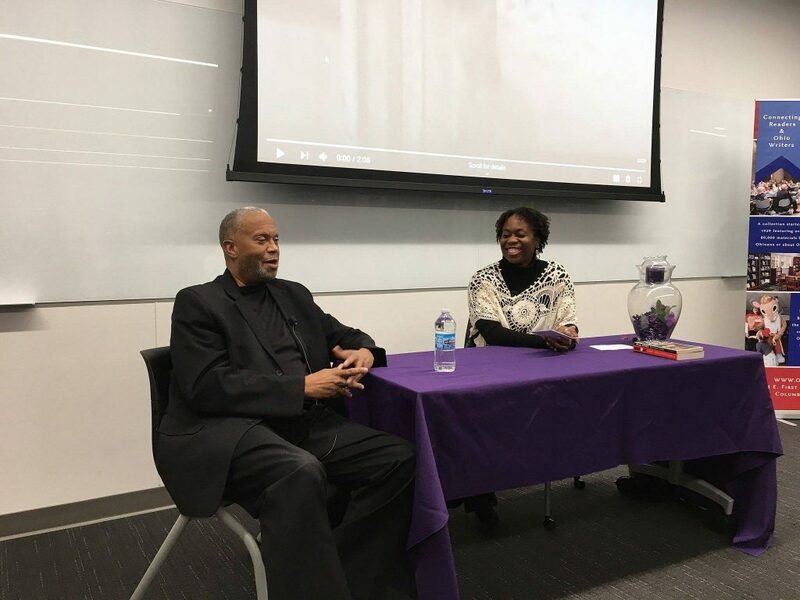 • Ohioana joined with more than twenty other organizations as a program partner for “I, Too, Sing America: The Harlem Renaissance at 100,” a centennial celebration of the historic literary and art movement. • Governor Kasich appointed Brian M. Perera of Upper Arlington and re-appointed Carol Garner of Mount Vernon as members of the Ohioana Board of Trustees. • Ohioana Director David Weaver joined Two Dollar Radio HQ owner Erik Obenauf to talk about Columbus books and authors for WOSU’s “Columbus Neighborhoods,” hosted by Charlene Brown. Sullivan, and Jacquelyn Vaughan. Daniel Shuey, John Sullivan, Bryan Loar, and Jay Yurkiw were elected as officers for 2019-21. • The fall issue of the Ohioana Quarterly profiled the 2018 Ohioana Book Award winners and featured a story by Marvin Grant recipient Christopher Alexander Gellert. There was also a two-part feature on the “I, Too, Sing America: The Harlem Renaissance at 100” project, including an interview with Larry James and Ohioana Award-winning author Wil Haygood, and a profile of two Ohio authors who were part of the Harlem Renaissance, Langston Hughes and Chester Himes, featuring rare items from the Ohioana Collection. • Ohioana announced that children’s picture book illustrator Tim Bowers of Mount Vernon will design the official poster for the 2019 Ohioana Book Festival. We are confident that 2019, Ohioana’s 90th anniversary, will be just as good. Happy holidays, and see you next year! We can all use a little more poetry in our lives … maybe a LOT more poetry. And since we want everyone who reads the Ohioana Quarterly to become familiar with our Ohio poets, we want more poetry reviews. We’ve been thinking about how to get more of those reviews into the OQ, so we’re taking a moment here in the Ohioana blog to provide a few resources to writers who maybe already review as well those who want to. These are interesting articles as well, and provide good insights. 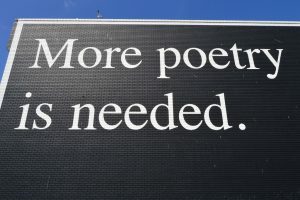 There’s plenty of good ideas here for poets who would like to see their books reviewed as well as hone the craft of writing poetry. By spending time evaluating the work of others, you get a lesson on improving your own work. You also support other poets by giving their work thoughtful consideration. Tomorrow is #GivingTuesday, an inspiring day of generosity across the globe. We hope you’ll support your favorite nonprofit organizations, including the Ohioana Library Association. Celebrating its 90th anniversary in 2019, Ohioana connects thousands of readers with Ohio writers through programs including the Ohioana Book Festival, the Ohioana Awards, and the Ohioana Quarterly, and promotes our state as one of America’s great literary centers. For #GivingTuesday, we are partnering once again with The Columbus Foundation to help you give AND receive! On #GivingTuesday, when you give to Ohioana and one or more other nonprofits through the Foundation’s Giving Store, you’ll receive a $20 Charitable Gift Card as part of the “Give Two on #GivingTuesday” promotion. Redeemable at any of the 1,000+ nonprofits in The Giving Store, these gift cards make excellent presents or stocking stuffers, and are a wonderful way to keep the good going this holiday season. Please join us for another exciting annual day of giving. Thank you in advance for your generosity . . . and best wishes for a wonderful holiday season! …and Ohioana is feeling thankful! 2018 has been a banner year for the Ohioana Library Association. To our supporters, partners, patrons, friends, volunteers, board, staff, and fans, we cannot thank you enough for continuing to support Ohioana year after year. 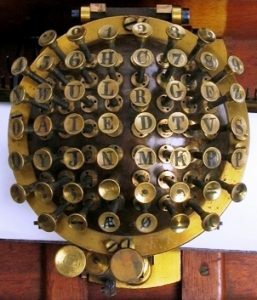 As we head into Ohioana’s 90th Anniversary year, we hope to continue to bring together Ohio readers and writers with the Ohioana Quarterly, events such as the Ohioana Book Festival in April, and much more. Watch this space for many exciting announcements to come in 2019! 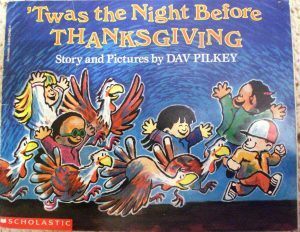 Happy Thanksgiving from Ohioana and Cleveland native Dav Pilkey, author of the classic ‘Twas the Night Before Thanksgiving, read on YouTube by KK! Happy Halloween! Here in Ohio, we enjoy all things spooky. Did you know that Ohio is the state with the most annual haunted house attractions, with 111 in total? It seems that we love being scared, and that goes for our literature as well. If you’re looking for a good book to scare you on Halloween night, look no further. Below is a list of Ohio authors that specialize in stories about the dark and creepy to satisfy your need for thrills and scares. Few scary series are more iconic (or more chilling) than R. L. Stine’s Goosebumps. 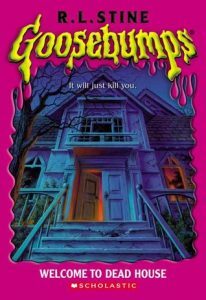 With over 230 books geared at grades 3-7, the Goosebumps series has something to scare everyone. Stine explores tales about everything from ghosts and werewolves to swamp monsters and mummies, and the books have even been adapted into a movie series. Watch below to see R. L. Stine himself discussing the legacy of Goosebumps. 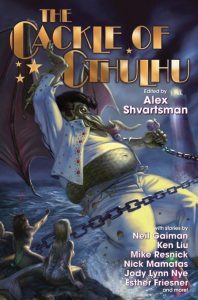 Harlan Ellison was a master of sci-fi and speculative fiction, sometimes crossing into horror as well. He is the author of more than 1,700 stories, film and TV scripts, and our library specialist recommends that you start with the short story “I Have No Mouth but I Must Scream”. If you’re looking for strange and spooky stories based on Ohio fact, James Willis probably has a book for you! He is the author of The Big Book of Ohio Ghost Stories and Ohio’s Historic Haunts: Investigating the Paranormal in the Buckeye State, among others. 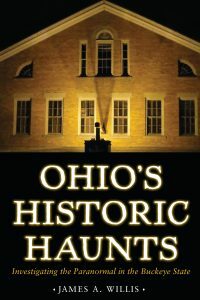 History and the paranormal mingle in Willis’s work, and are sure to prove fascinating to anyone familiar with some of Ohio’s notorious haunts. Since 1991, Chris Woodyard has been scaring residents of the Buckeye State with frightening stories that hit close to home. Make sure to explore her website, hauntedohiobooks.com, for tips on where to find ghosts in Ohio, how to write ghost stories of your own, and more. Gary A. Braunbeck is a prolific author who writes mysteries, thrillers, science fiction, fantasy, horror, and mainstream literature. He is the author of 19 books and his fiction has received several awards, including the Bram Stoker Award for Superior Achievement in Short Fiction in 2003 for “Duty” and in 2005 for “We Now Pause for Station Identification”; his collection Destinations Unknown won a Stoker in 2006. His novella “Kiss of the Mudman” received the International Horror Guild Award for Long Fiction in 2005. Lucy A. Snyder is a five-time Bram Stoker Award-winning author, which should clue you in that she knows her stuff when it comes to scary stories! 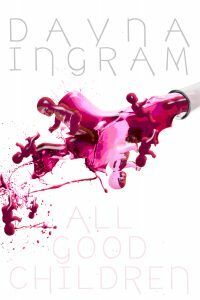 She wrote the novels Spellbent, Shotgun Sorceress, and Switchblade Goddess, and the collections While the Black Stars Burn, Soft Apocalypses, Orchid Carousals, Sparks and Shadows and Chimeric Machines. Her writing has appeared in publications such as Apex Magazine, Nightmare Magazine, Pseudopod, Strange Horizons, Weird Tales, Scary Out There, Seize the Night, and Best Horror of the Year. 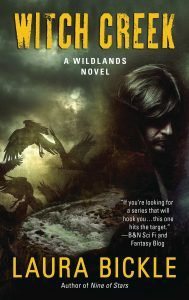 Shirley Jackson Award finalist Tim Waggoner has published over thirty novels and three short story collections of dark fiction. Most recently published is The Mouth of the Dark, the story of Jayce and his 20-year-old daughter, Emory, who is missing, lost in a dark, dangerous realm called Shadow that exists alongside our own reality. 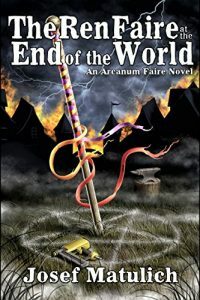 An enigmatic woman named Nicola guides Jayce through this bizarre world, and together they search for Emory, facing deadly dog-eaters, crazed killers, and — worst of all — a monstrous being known as the Harvest Man. But no matter what Shadow throws at him, Jayce won’t stop. He’ll do whatever it takes to find his daughter, even if it means becoming a worse monster than the things that are trying to stop him. Laura Bickle specializes in dreaming up stories about the monsters under the stairs. She writes for adults and young adults, and her work has been included in the ALA’s Amelia Bloomer Project 2013 reading list and the State Library of Ohio’s Choose to Read Ohio reading list for 2015-2016. These aren’t your typical horror stories! Josef Matulich is a master of both laughs and scares, combing humor with horror. Some of his titles include The Ren Faire at the End of the World and 44 Lies by 22 Liars. Are you an author who was born in Ohio or has lived in Ohio for five or more years? Have you published a book in the last year? Then fill out an application to attend the 2019 Ohioana Book Festival – and hurry, the deadline is coming up on November 15th! The Ohioana Book Festival is the perfect place to interact with readers and other Ohio writers! 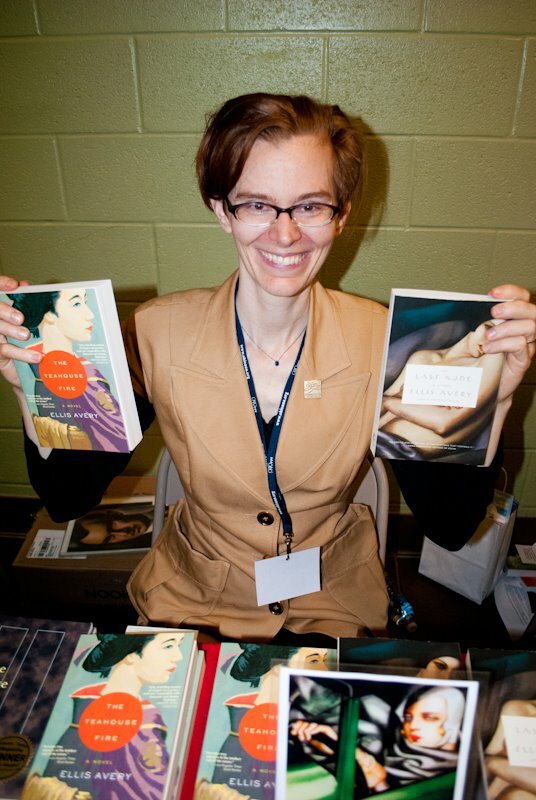 The Ohioana Book Festival is an annual celebration of literature, featuring all authors with Ohio connections. Authors of all genres for all age levels are welcome, from picture books to nonfiction. The 2019 Festival happens to be a very special occasion, as we will be holding it for the first time at the main branch of the Columbus Metropolitan Library in Downtown Columbus. Our new space will allow us to be bigger and better than ever! At the Festival, you’ll be able to sell your new book, as well as up to four older titles if you’d like to. You will be able to interact with readers, as well as other Ohio authors. In addition, you may be able to tap into your expertise by participating in a panel or children’s room program. The 2019 Ohioana Book Festival is taking place on April 27th, 2019 from 10am-4:30pm. You can find out more about applying on our application page or if you think you’re ready to apply, go ahead and download and fill out the application here. We hope to see you at the Festival! Clifford is a big fan of the Ohioana Book Festival! It’s nearly here! Tomorrow night is the 77th Annual Ohioana Award ceremony, to be held at the Ohio Statehouse. This year’s crop of winners joins a prestigious club that includes such notable authors as Mary Doria Russell, Wil Haygood, Paula McClain, Toni Morrison, and Anthony Doerr. The Ohioana Book Awards are the second oldest, and among the most prestigious, state literary prizes in the nation. Nearly every notable Ohio writer of the past 77 years has been honored. The first Ohioana Book Award, presented in 1942, was given in the category of nonfiction to James Reston’s Prelude to Victory. Awards for juvenile literature and fiction were first presented in 1943, followed in 1944 by poetry and book about Ohio/an Ohioan, and in 2014, middle grade/young adult literature. To these juried awards, we added a Readers’ Choice Award in 2016, allowing readers to choose their favorite book from among the finalists selected by judges. Additionally, at the Ohioana Award ceremony, we also present the Walter Rumsey Marvin Grant, which is awarded annually to a writer under the age of 30 who has not yet published a book. This year’s winner is Christopher Alexander Gellert. He joins the likes of Jeannie Vanasco, Ellis Avery, Anthony Doerr, Shari Goldhagen, Bernard Farai Matambo, Sarah Menkedick, and many more writers who have gone on to publish award-winning books. Congratulations to all of our winners! For more information about them, see the Fall issue of the Ohioana Quarterly. To learn more about previous winners of the Ohioana Awards, click here, and to watch previous ceremonies click here. Follow Ohioana on Facebook, Twitter, and Instagram for live updates during the event, and tune in to the Ohio Channel to watch the whole ceremony live!